Just in time to welcome Christian Louboutin’s new and stunning 2013 Fall and Winter shoe collection, Saks Fifth Avenue has opened Louboutin’s first in-store shoe salon in the United States. The store was designed by New York based architectural and product design company 212box, who created the unique and special shopping experience for the aficionados of the luxury French brand. 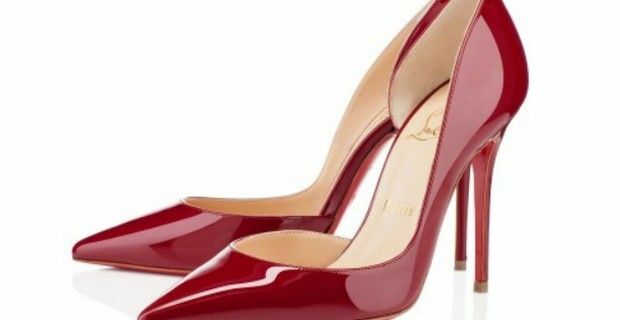 Since we’re not going to visiting the Big Apple anytime soon, we’ll take a peek at what styles and models Louboutin has to offer for this 2013 Fall and Winter from this side of the pond. High heels as usual play the lion’s part in the collection and so do spikes, that you’ll find even on their womens sneakers. Louboutin has taken their beloved men’s model, the Louis Junior and has given it a feminine flare, with bright red studs featured on the toe of this low top sneaker. The Geo Pump in patent leather comes with two different heel heights; but both have a very notable pointed toe that's covered in red spikes, and by popular demand, the French designer has brought back his famous Lady Peep Spikes platforms with its dazzling 15cm heel. However, the Flo, a suede platform model in our opinion is just as ravishing, with its peep toe, gold spikes and a thinner stiletto heel that is covered with striking printed pony hair. If the rocker spikes style aren't quite your cup of tea, Louboutin presents the Iriza, a d'orsay style pump. This beautiful and timeless patent leather pump comes in classic black, but also Louboutin’s signature lacquer red, that will make you stand out in any occasion.